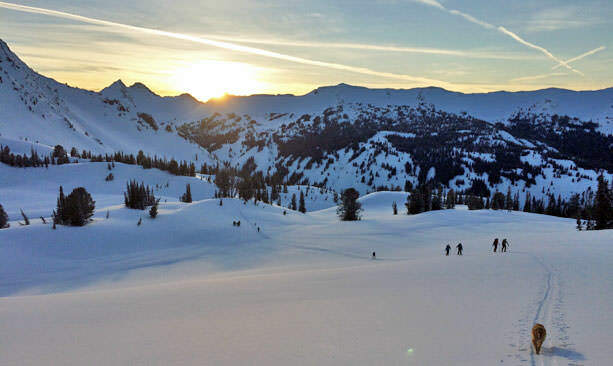 Oregon ski season is epic, but you haven’t seen anything until you’ve seen the Wallowa Mountains in all of its wintertime glory. Part of the Eagle Cap Wilderness area in Oregon’s northeastern corner, this area is nicknamed “Little Switzerland” for good reason. 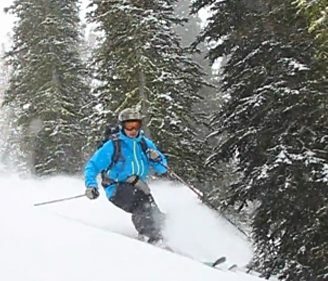 The 9,838-foot summit of the Wallowas sees more than 400 inches of snow each winter, with north-facing powder slopes ensuring fresh tracks after a storm. The thought of arranging logistics to ski here can be intimidating, but luckily there’s an easy — and extraordinary — way to experience it. 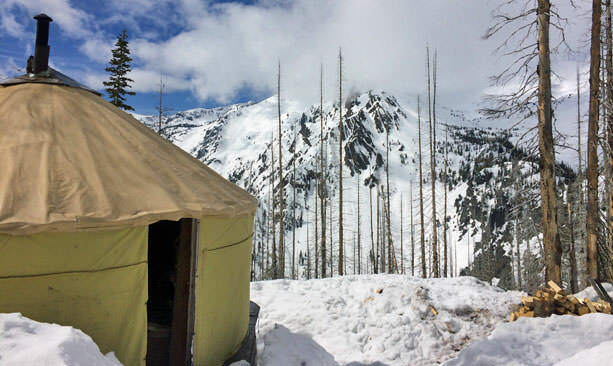 Wallowa Alpine Huts — a rustic yurt village with downhill ski equipment rentals, gourmet food, a hot sauna and sparkling terrain — is now in its 37th season, a paradise for snow worshippers everywhere. 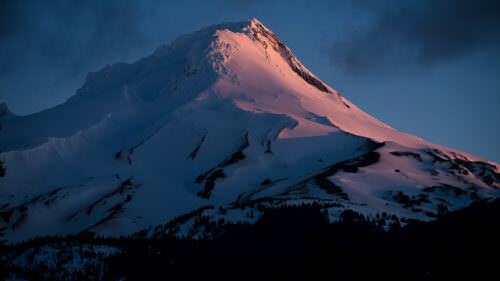 Visitors can sign up for one of several different trips, geared to different budgets and types of terrain. 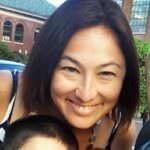 A hosted and catered trip includes a cook and custodian, all meals, snacks, bedding and accommodations in either Joseph or Halfway, where the trips begin. The hosted and guided trips start at $1,000 per person for a 4-day long weekend, or $1,250 per person for a 5-day midweek trip. Or, if you prefer to do it on your own, the 4-day long weekend trip is $250 per person; the 5-day mid-week trip is $300 per person. 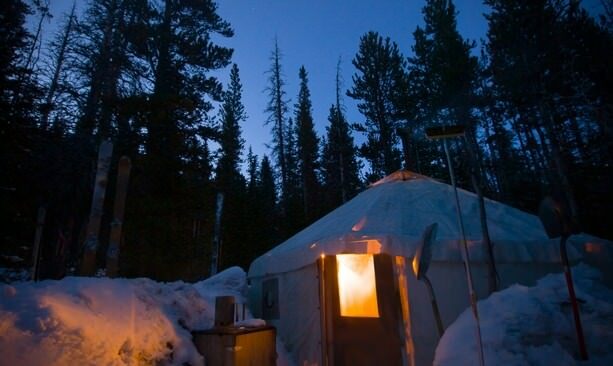 Either way, the yurts — which sleep 10 to 12 people each — come with their own stock of back-country luxury items: woodstoves, firewood and fire starter; hot chocolate; wine bottle openers; coffee pots and propane cook stoves; lanterns; camp chairs; luxury sleeping pads; snow shovels; a water filtration kit; games and cards and more. The four huts are located at different points along the mountain, offering different experiences that suit both beginners and advanced skiers. 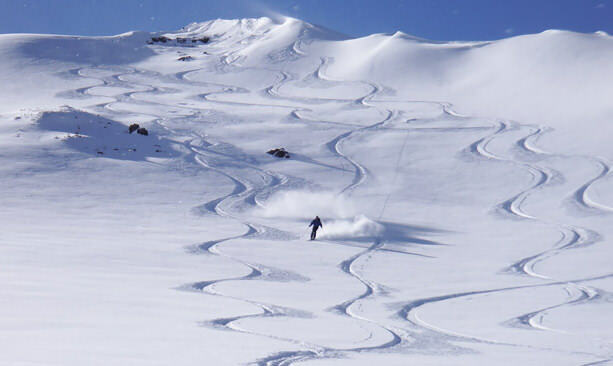 McCully Basin is at 7,500 feet; WingRidge is at 7,300 feet; Camp Norway is at 7,000 feet; and BigSheep is at 6,200 feet. Visitors stay overnight, then fuel up and ski directly out of their hut for a day’s worth of fun, with plenty of meal and sauna breaks in between. The next morning, wake up and do it all over again. 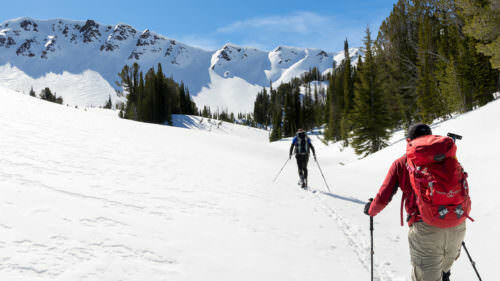 Before you head out to the Wallowas, make sure you have the proper gear, and read up on guidelines at the Wallowa Avalanche Center for safe winter travel in the backcountry. Around town, warm up before and after the adventure with a burger and a pint at Terminal Gravity Brewing in Enterprise or a hearty soup at Old Town Cafe in Joseph.